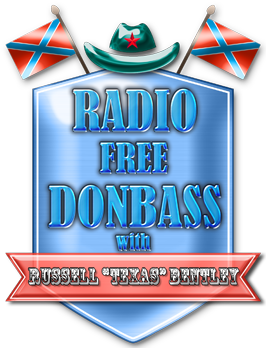 Russell “Texas” Bentley: Happy Easter and Happy Workers' Day! 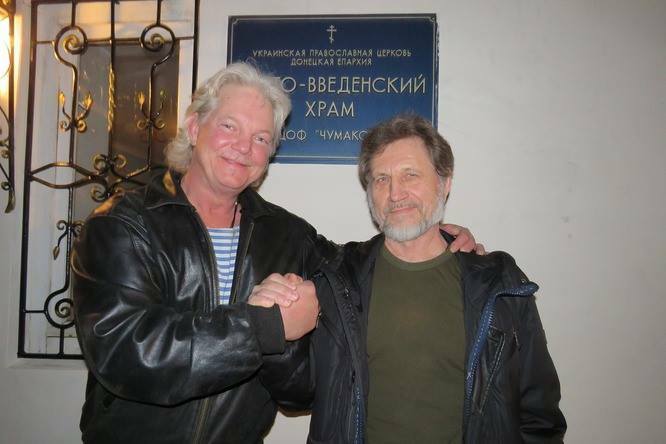 Texac and Father Boris, my Godfather, former Chaplain and soldier in Vostok Battalion. We may look like a couple of bikers in this pic, but this was after a 5 hour Orthodux Easter service. It was beautiful. This is what we defend from nazi killers and slave masters - everything that's still good in the world. So we will NEVER surrender. 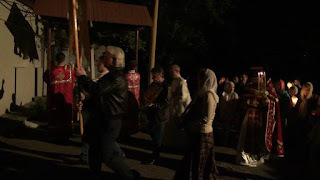 Midnight procession, Easter, May 1st, 2016. Midnight Easter Service May 1st, 2016. 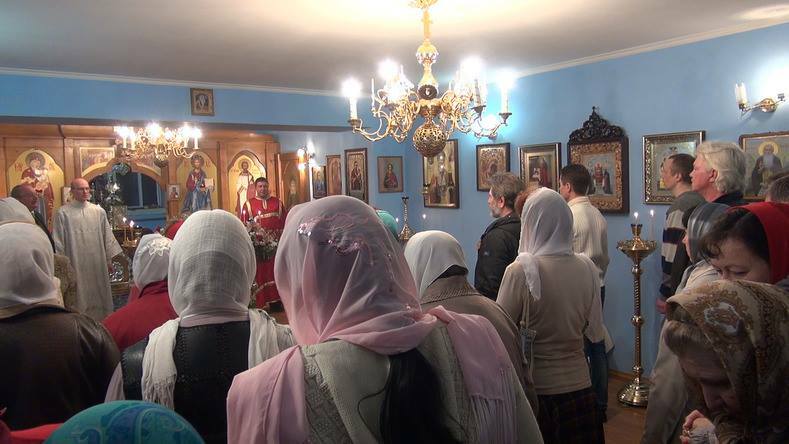 Russian Orthodox Churches don't have pews. You stand the whole time (5 hours). Someday, we will all stand like this before God. 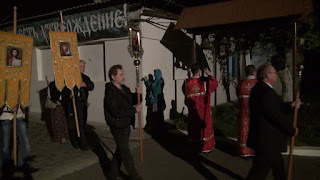 Today is an auspicious day, it is both Easter Sunday in the Russian Orthodox Church, and May 1st, the real Labor Day, when the workers of the world are honored. So, it is a very special day for the Essence of Time volunteers in the DNR and all around the world. 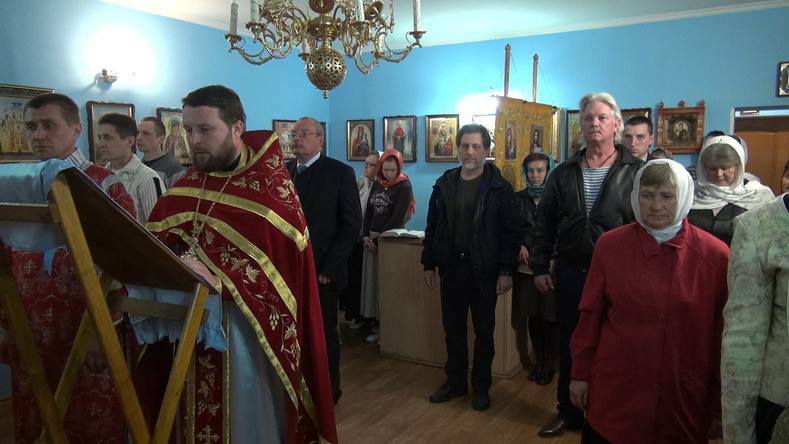 EoT believes in Communism 2.0, and in the Russian Orthodox religion. We seek to re-invent an improved Communism, a Socialist Union of workers, peoples and nations around the world, and we realize we can only do this with God's help. But we do not expect God to do it for us. We know it will take a great deal of work, wisdom and sacrifice on our part to achieve this lofty goal. 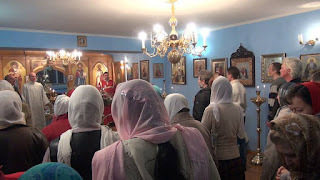 The Russian Orthodox religion is not like most religions in the West - the phony “Prosperity Gospel”, the despicable lie which says that rich people are rich because God is rewarding their “virtues” and the poor people of the world suffer because they are somehow bad. Nothing could be further from the truth. It is the exact opposite of what Jesus taught. 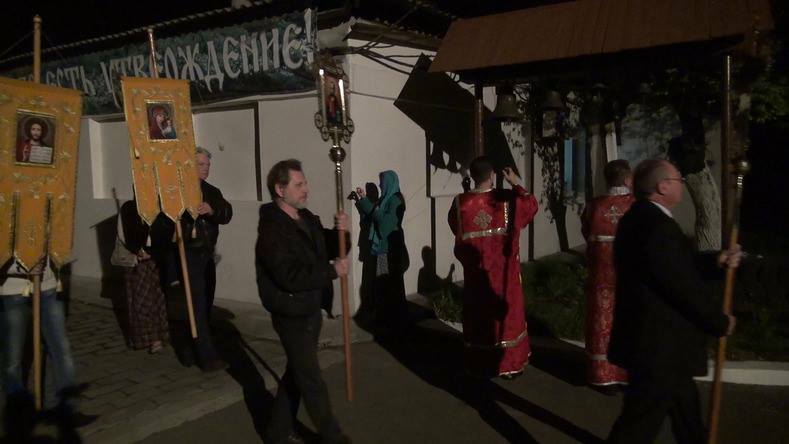 The Russian Orthodox religion is based on humility, generosity, ans solidarity with our fellow man. It is the true interpretation of what Jesus taught. And Jesus was a Communist. He shared equally with all. The Sermon on the Mount and the Last Supper are perfect examples. What is the idea of EoT's Communism 2.0? It seeks to take the basic premises of Marx and Lenin, to understand what mistakes were made, to correct them, and move forward to build a more just, more sustainable, more equitable world. The true character of any society, any civilization, can and should be judged, not by the opulence of its richest members, but by the condition of its poorest, least advantaged members. If every member of that society, including the least among them, has food, housing, education and medical care, sufficient for every member to achieve their full human potential, it is a just and humane society. If some have more than they can ever earn, more than they can ever spend, while others have less than enough to live, it can hardly be called civilized, much less a just human society. It is nothing more than, as Marx said, Man's exploitation of Man. That is what we are now fighting against. It is a fight, a war, for the future of Humanity. A fight we plan to win. Because Humanity has now only three choices – either we make a better, more just world for all who are in it, or we face extinction for the vast majority and enslavement of the rest, by a small class of people who want to rule the world in perpetuity, who want to exploit human beings like livestock, or exterminate them like insects. And they will, if we let them. And that is the work of the Devil. No realistic survey of the human condition in the world today can come to any conclusion but that things are getting worse, every day, for the vast majority of Humankind. We have the resources to provide for all, a decent living, education, health care, a chance for everyone to fulfill their true human potential, but those resources have been diverted and added to the already obscene and unjustifiable wealth of a ruthless few. The battle for the future of humanity is a battle between us and them. So, on this day when we celebrate the resurrection of Jesus Christ, on the same day respect the contribution, and the rights, of all the workers in the world, the vast majority of Humanity, let us join together to make the world a better place for all of us, for every person in it, and to fight those who believe they can make us their slaves. As Jesus said, that which we do for the least of our Brothers, we do for Him. As Marx said, we have nothing to lose but our chains.